A proposal to keep the offices that link constituents with lawmakers open Friday afternoons fell short in the Alaska Legislative Council. The proposal did lead the council to vote to close the Unalaska office. Eagle River Republican Sen. Anna MacKinnon voted Monday to close the Unalaska office — and against adding hours to the others. The first part would close the Unalaska legislative information office. The second part would have used the savings to keep the 22 other LIOs open on Friday afternoons when the Legislature is out of session. Only eight of the 14 council members were present. All of their votes were necessary to take action. The Unalaska closure passed. 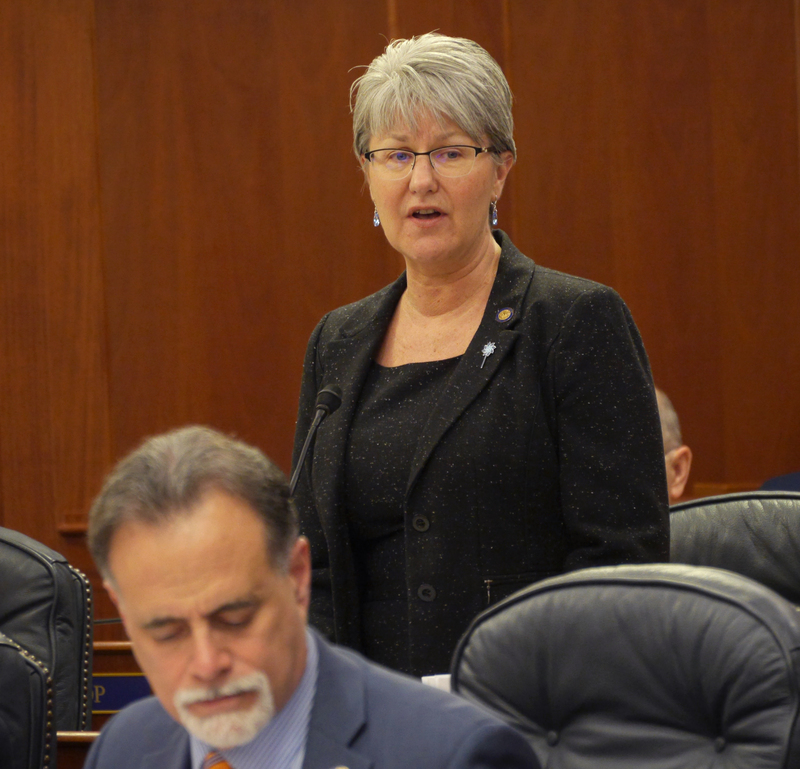 But two members– MacKinnon and Wasilla Rep. David Eastman — voted against the expanded hours. The Legislature voted to cut back the Friday hours about two years ago to save money. Unalaska was the most recent legislative information office to open — in 2011. But residents didn’t make much use of it — there wasn’t a single person who testified from the Unalaska LIO this year. In a separate action, the council voted to approve $913,000, plus a $91,000 contingency if there are unexpected costs, to pay for a new electronic voting system to track legislators’ votes during floor sessions. The old system was outdated and failing, according to the Legislative Affairs Agency.